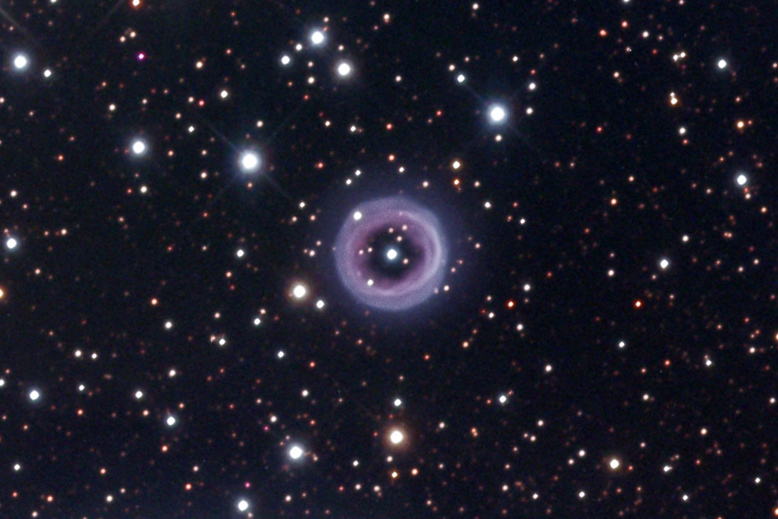 Description This fine planetary nebula was discovered by Harlow Shapley in 1936. It has an apparent diameter of only 80 arcseconds and a mag 14 central star. It is unusual among planetaries in that it is probably a true torus seen face-on, instead of a gas globe that is more transparent in the middle. Close inspection reveals a faint outer halo. The field of view of this 50% cropped image is about 8 x 5 arcminutes.